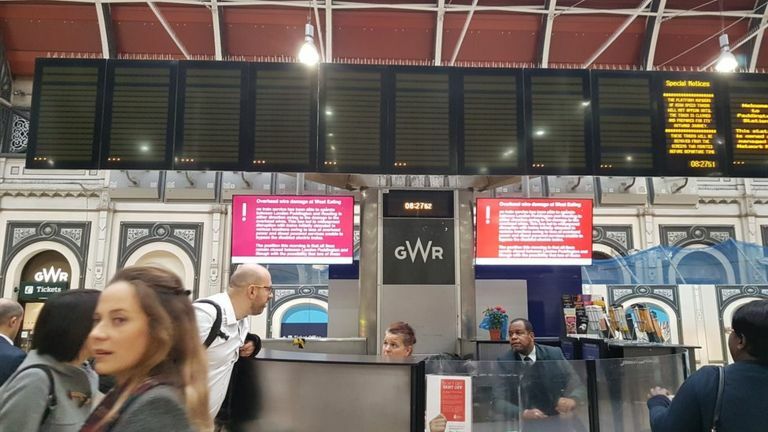 Probashbangla24 online Desk : Rail passengers are facing major disruption after a test train damaged power cables near one of London’s busiest stations. Trains between Paddington and Slough are cancelled until at least midday after 500m of overhead cables were “severely” damaged on Tuesday night by a Hitachi train on a test run. Services between Paddington and Heathrow airport are also not running. 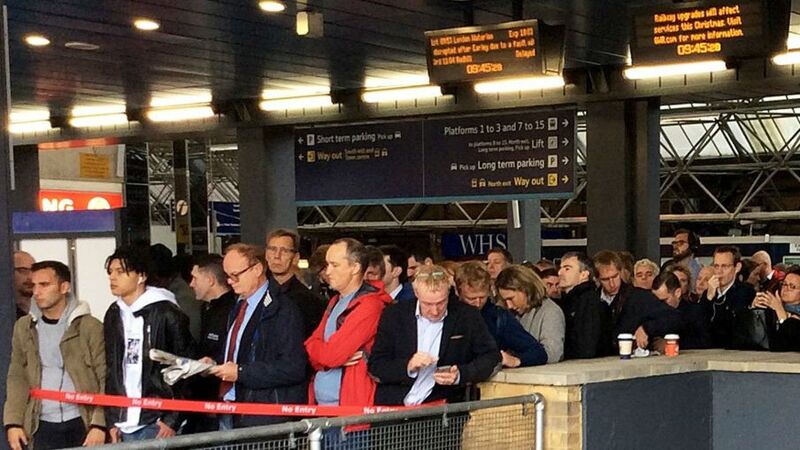 Travellers are likely to be affected all day, Network Rail said. The disruption is affecting passengers as far as south-west Wales, Bristol, Exeter, Plymouth and Penzance, Great Western Railway (GWR) said. Network Rail said the disruption was caused by “500m of extensive damage caused to overhead power lines in the Hanwell area”. A spokesman said it was working to fix the damage and hopes to reopen two of the four affected lines from midday. GWR has advised passengers not to attempt to travel between Paddington and Slough until at least 12:00. Dan Panes, from the company, said even if some lines return to service, “disruption will last for most of today [at the] very least”. The cable damage was caused at about 22:00 BST on Tuesday by a high-speed class 802 Hitachi train which was being tested between London and Bristol. The train, which was empty at the time, ripped into the overhead wires, bringing them down. A Hitachi spokesperson said that “after years of successful testing on the route” it was holding “a full and thorough investigation” to identify the cause of the damage. BBC South’s transport correspondent Paul Clifton said although GWR planned to use the trains in future, it was not responsible for the test. The fault comes weeks after hundreds of passengers were stranded for six hours in September when a similar train built by Hitachi for GWR broke down just north of Exeter. GWR said the incidents were unrelated. South Western Railway warned customers their trains into London would be “very busy” as a result of more people using their services. Waterloo Tube station also had to be closed temporarily due to overcrowding. Commuters at Reading station described the “wall of passengers” trying to board alternative trains to London while services were suspended. Andy Moisey said on Twitter: “I have just arrived at Reading from Wokingham trying to get my connection to Basingstoke to be met with and wall of passengers. Another Twitter user “welcomed” the bus replacement service because it brought a “surprise of nostalgia”. Network Rail had issued advice on alternative routes for passengers affected including a replacement bus service for those heading to Heathrow. TfL Rail services are suspended until at least 14:00, Network Rail said. One commuter said his alternative route to get to a meeting in Bristol would add an hour and a half to his journey time. “They told me as an alternative route I’ll have to go from here to Waterloo, from Waterloo to Reading, and from Reading then to Parkway,” he told BBC London. 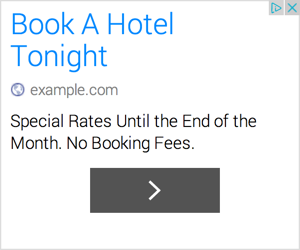 “It’s not convenient, but we have no other option,” he said. Sam Haworth, from Reading, said he would be about an hour and a half late for work. 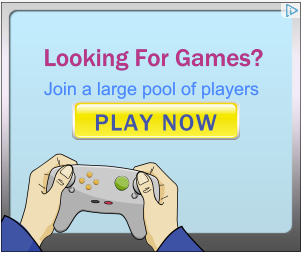 Wayne Noir, from Reading, said he had been “running around doing nothing” for two hours. 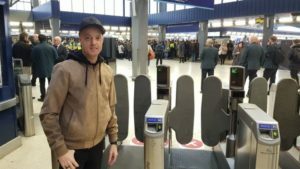 Mr Noir, who was trying to get to Ealing Broadway, said: “I have been literally going back and forth, looking online on my app and then the screens. 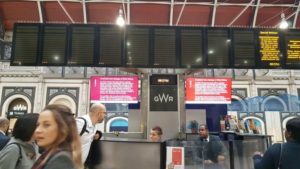 There were also major delays for commuters using Victoria Station on Tuesday evening after an electricity supply failure. 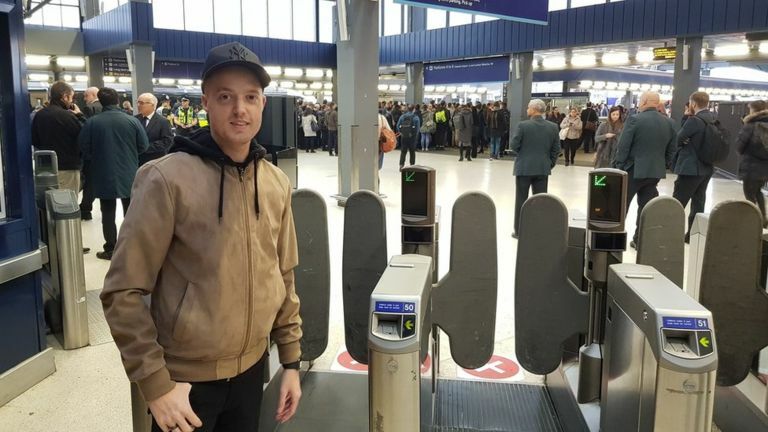 Ron Walker, 27, was on a train from Bristol to London on Tuesday night when it came to halt at Reading. He spent £110 on a taxi to London because he “desperately” had to get to the capital for work at 07:00 on Wednesday. 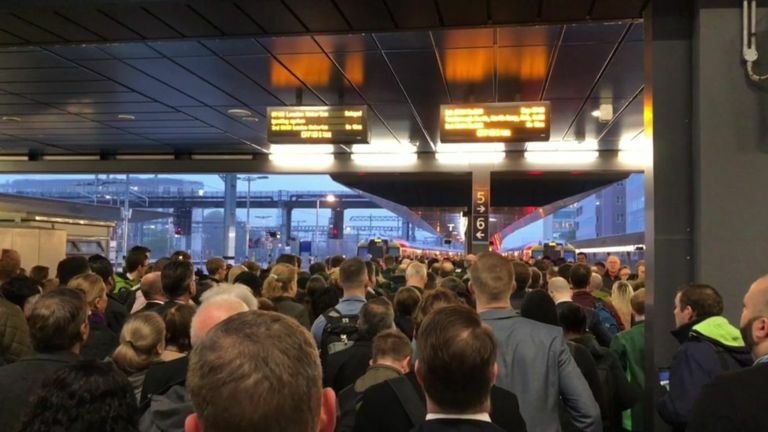 “The man came over the Tannoy saying there were no trains going to Paddington as there were damaged overhead lines in London somewhere,” he said.